Die Louvin Brothers, eines der wichtigsten Duos der 50er Jahre, hatten einen starken Gospel-Background. Wie so viele ihrer Kollegen, begannen auch sie ihre Profi-Lauf-bahn bei der Radiostation KNOX in Knoxville - Tennessee. Der Gesangsstil der Louvin Brothers wurde zum Vorbild für zahlreiche Gesangsduos, allen voran die Everly Brothers, die später wiederum den Stil der Beatles beeinflussen sollten. Kurz vor dem Unfalltod von Ira Louvin, hatten sich die Louvin Brothers getrennt und Charlie strebte eine Solo- Karriere an. Die Charterfolge hielten sich allerdings in Grenzen, obwohl er zeitweise mit Melba Montgomery im Duett sang. Alles in allem, Charlie Louvin konnte bis heute nie mehr an die Glanzzeit des Duos anknüpfen. 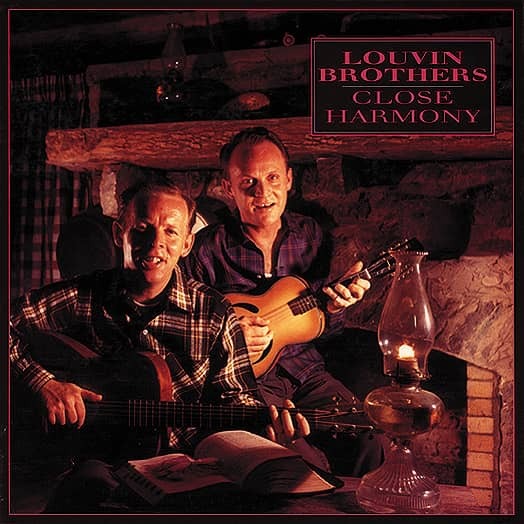 Weit über 500 Songs hatten die Louvin Brothers zusammen geschrieben. Ghettoized as gospel performers almost from the beginning of their recording career, the Louvin Brothers knew that they needed to break into the broader arena of country music. Born Ira and Charles Loudermilk in Section, Alabama on April 21, 1924 and July 7, 1927 respectively, they were one of the last of a long line of brother duets and helped bring its timeless sound into the post-War era. The story of their early career has been ably told by Charles Wolfe in the book accompanying Bear Family's anthology of their complete recordings, 'Close Harmony' (BCD 15561). We picked up the story in our 1952 volume when the brothers wrote a hit, Are You Teasing Me, for Carl Smith. Its success made them more determined than ever to break out of gospel music, where their producers (first Fred Rose and then Capitol's Ken Nelson) seemed intent on keeping them. The success of Are You Teasing Me also made them intent on getting out of Memphis and up to Nashville to work on the Grand Ole Opry. At least Nelson was in favour of the latter. "We were working in Memphis," said Charlie Louvin, "and every time we'd have a day off on the weekend we'd come to the Opry. We'd corral [Opry manager] Jim Denny and sing him a song. We got that 'Don't call us, we'll call you' for years. So we called Ken Nelson, and said, 'Do you know anybody at the Opry?' He said, 'Well, I'm pretty good friends with Jack Stapp.' I said, 'Well, Ira and I we decided that we're gonna quit the business if we can't get on the Opry.' 'Cause we just weren't makin' a living. Ken Nelson called Mister Stapp and told him he had a duet that was on his label, and he'd like to have 'em on the Opry. Evidently, Mister Stapp give him a discouraging message, and Mister Nelson said, 'Well, if you don't want 'em, the Ozark Jubilee does.' And Mister Stapp said, 'Now, wait a minute, we don't want no more people going up to the Ozark Jubilee. Tell 'em to show up this Friday.'" The next challenge was to convince Nelson to let them record secular music. Earlier, he'd told Martha Carson that she could try secular music, but her gospel fans would forsake her. "She was one of the greatest female gospel singers that ever lived," Charlie Louvin told Michael Hurtt, "but her husband wanted her to do something other than gospel. He figured if they dropped her neckline a little and sang something else, he could make a lot more money. So Ken Nelson told her: 'If this doesn't go and your [gospel] fans don't like it and they drop you, you'll be off the label.' And sure enough she was. So when we started wanting to mix our music, he said, 'You want to pull a Martha Carson.' 'No, it's just that we can't play clubs.' 'Well, if it don't go, you know you'll be off the label.' But we didn't approach [secular] music like Martha did. We weren't gonna make that much of a change." In May 1955, they recorded a lovely slow waltz, When I Stop Dreaming. Ira had begun it while Charlie was serving in Korea. "We sang it for a year, messing around with it. The rest of the world would be worse off without the dreamers. The doers take it and get rich off it. We felt if we could change [out of gospel] with anything, it would be that song." It got off to a slow start, but broke out of Nashville and Charlotte to become a #8 hit. And it set the stage for the remaining eight years of their career when they recorded both gospel and secular music. Throughout the years, When I Stop Dreaming has been recorded by Roy Orbison, Hank Locklin, Emmylou Harris, Hank Williams, Jr., Johnny Cash, George Jones, and many others. 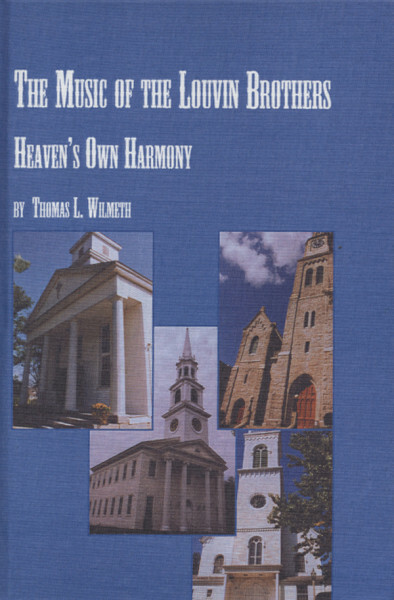 Évaluations de clients pour "Louvin Bros Thomas L. Wilmeth: Heaven's Own Harmony"